I have been living in East Texas for a few years and recently moved back to DFW area and got a job with Oncor. I have lost contact with most classmates and would like to reconnect. If interested, drop me a note and we can chat. JACKIE PRATHER has a birthday today. JACKIE PRATHER has left an In Memory comment for her Profile. REST IN PEACE EDDIE. I'm thankful that Jimmy Potts could be at your side as you slipped from this world to another. JACKIE PRATHER changed her profile picture. JACKIE PRATHER added a photo to her profile gallery. 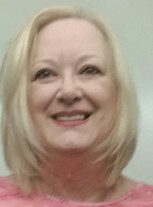 JACKIE PRATHER updated her profile. View. JACKIE PRATHER changed her "Now" picture.